Italy attracts some 50 million tourists every year. And while most of these travelers typically frequent cities like Rome and Milan, plenty of other places in Italy definitely worth seeing. One such underrated city is Verona in Northeast Italy, which sits along the meandering Adige River. If you are already familiar with the usual tourist spots but would like to fall in love with Italy all over again, perhaps it’s time to discover its best kept secrets. Here is a list of some must-see attractions in Verona. The Duomo of Verona is a massive Roman cathedral that Delightfully Italy explains is actually a complex made up of magnificent buildings. While its facade is designed in an impressive Romanesque style, it’s the interiors where the best of its attractions can be found. The chapels feature Renaissance artworks from renowned Veronese artists like Falconetto, Giolfino, and Cignaroli. It is also here where you can find the Canonical Museum, which features religious artifacts and accessories. In addition, it has the impressive Chapter Library, which is one of the world’s oldest libraries. 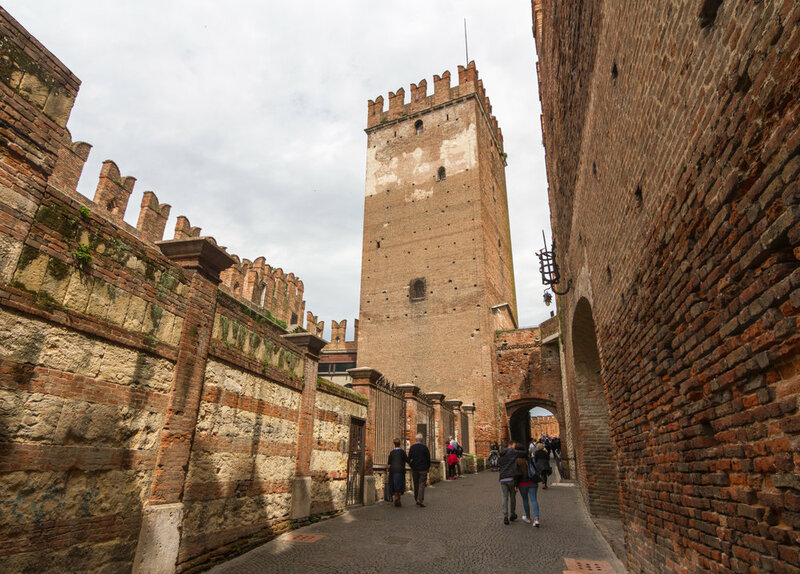 Verona’s most spectacular medieval castle was established way back in 1354. In the aftermath of the WWII bombings, it was reconstructed with glass panels filling the holes, and bridges over the exposed foundations. Because it was originally intended for military purposes, it features little to no decorative elements. However, Castelvecchio is one of the prime examples of Gothic architecture from the Middle Ages. Today, the fortress houses a collection of statues, jewelry, artifacts, and paintings. The Roman Arena in Verona is the third largest arena in all of Italy, with can house 25,000 spectators. It has been around since the first century AD and has gone through numerous restorations. 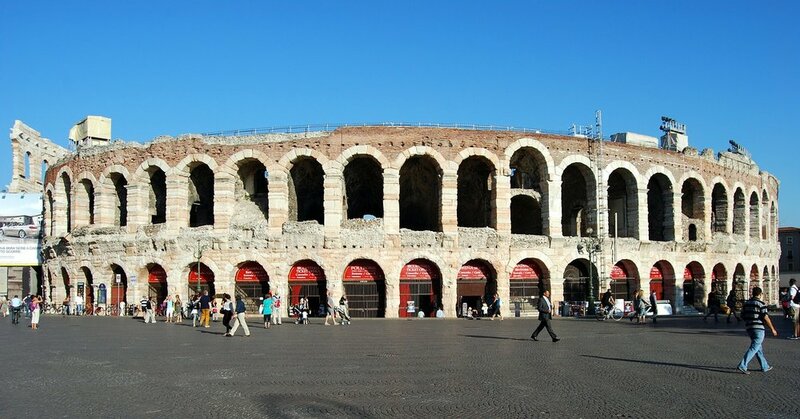 Currently, the arena serves as the venue for Verona’s summer opera festival and other theatrical performances. It can be found in the Piazza Brà, which is another of Verona’s impressive landmarks. The word “Brà” comes from the German term “breit”, which translates to “spacious square.” Here, you can admire the brightly colored buildings, sit by the fountain in the middle of the grounds, or have lunch at one of the sidewalk cafes or restaurants. Probably the most famous attraction in Verona is the house of Juliet from Shakespeare’s Romeo and Juliet. Tourists will be able to see the famous balcony, on which Juliet stood as Romeo serenaded her, as well as thousands of “Dear Juliet” love notes covering the walls of the courtyard. Contrary to popular belief, however, the house does not actually belong to Juliet, who is a fictional character. The house, which was once owned by the Capello family, was bought by the city of Verona in 1905. Because of the similarities in name (Juliet’s surname was Capulet), the city decided to market the structure as her home. Considering Juliet’s house is the most visited attraction in Verona, it’s clear how bankable the classic Romeo and Juliet story is for the Italian city. Aside from countless theatre and film productions, the story is still prevalently featured on other forms of media too. The tragic narrative is even captured by a digital medium via Slingo’s online Romeo and Juliet slot game. Here, elements of romance play a large part in the mechanics, much like the essence of the story itself. Because of the story’s far-reaching impact, people will continue to show their appreciation for one of Shakespeare’s masterpieces — whether that's done through visiting Juliet's house, or exploring the story via different mediums. This beautiful square, which once functioned as a Roman Forum, sits at the heart of Verona’s historic center. Nearby, you can find the ancient town hall and the Palazzo Maffei. 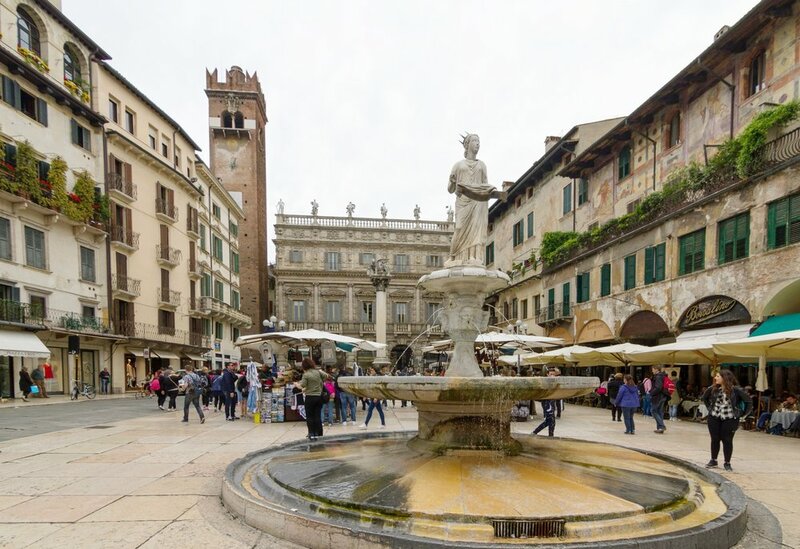 However, the square’s most ancient feature is located in the middle: the Madonna Verona fountain. Bulgarian blogger Rossi explains that the female statue actually represents the city, rather than the Virgin Mary. She is a queen with a crown who is proud of her ancestry and supports progress. Like the Piazza Bra, the square is now home to many cafes and restaurants that are worth checking out.